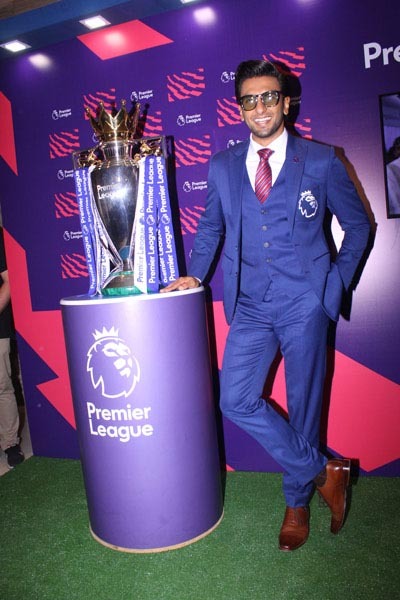 Former Manchester United captain Nemanja Vidic and Bollywood actor Ranveer Singh launched the India chapter of Football For Peace (FFP) on Friday afternoon in Mumbai and revealed that Football for Peace’s iconic Peace Match in the country will he held on the premises of the Parliament later this year. Established by Chilean legend Elias Figueroa in 2006, the Football For Peace gathered momentum in 2013 when British south Asian footballer Kashif Siddiqi turned it into an international movement. “Football has been a great unifying force across the globe. The FFP has been using football diplomacy to bring people together by promoting peace and the virtues of inclusion since its inception,” Nemanja Vidic said. “I am sure it can pay a huge role in making India a more tolerant society,” he added. “We will be inviting the honourable Prime Minister of India to play in this match. We are also looking at other world celebrities, like David Beckham, the Prince of Monaco, as also top diplomats and India’s senior politicians to bring about awareness for FFP’s initiatives,” he added. 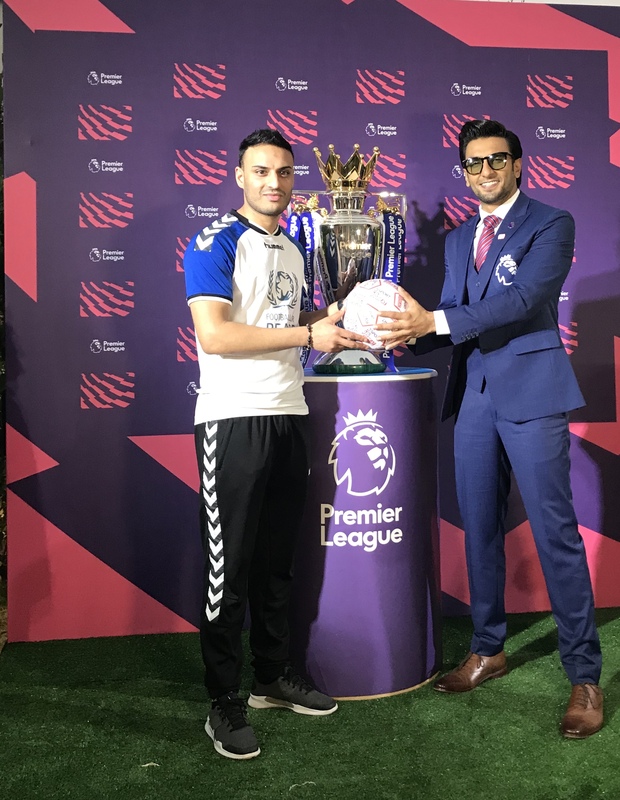 The FFP, which is supported by the English Premier League and the UK Foreign Office, will identify 10-12 cities in the country as part of its Cities for Peace initiative. “Close to 1,600 kids in the age group of 7-14 years will be selected in each of these cities. They will be part of a yearlong project, which will include 60% classroom education and 40% football training. Once we reach 5,000 kids, we will declare it a City of Peace,” Kashif explained. The FFP is supported by high-profile footballing legends like Pele, Ronaldinho as well as The Duke of Cambridge, Prince William and Albert II, Prince of Monaco. “The work of Football for Peace is important and the fact that sport can do this, bridge so many barriers is fantastic,” The Duke of Cambridge, Prince William stated. “It is a great honour for me to be involved in a movement which contributes to peace by uniting, educating and promoting friendships between people,” Ronaldinho, a World Cup winner and a popular star in India, said. Ronaldinho has already been part of an FFP project in India that saw a women’s empowerment initiative in Kerala in 2016. Sixty girls were chosen as ambassadors who went on to engage 1,5000 children in Kozhikode. Over 1,00,000 fans turned up to watch Ronaldinho in action during the Peace Match in the city. “The FFP is a great initiative. The UK Foreign Office is delighted to be part of the entire project,” Crispin Simon, the British Deputy High Commissioner, said. “We have been doing our bit to provide education to the socially backward people in India. This is a wonderful opportunity to take it to the next level,” he said. Chairman of the Diya Group and global football academy founder (along with Liberia’s President George Weah) Nirav Tripathi is the founding Board Member of India’s Football For Peace chapter. Indian Politician Kailash Vijayvargiya, who is currently National General Secretary of the Bharatiya Janata Party (BJP), one of the two major political parties in India, is a Board Member.